Your special occassion is our main event. Whether it's an intimate beach side gathering with casual attire for a few or 2,000 guests classically attired for a traditional ballroom reception, let us help create memories that last a lifetime. There are many options available for seating arrangements in each space and our event rooms can comfortably hold 20 to 2,000 guests. So, whether you're planning a grand wedding or an intimate anniversary party, we'll find the perfect fit for your event. Our team also works closely with you to prepare a menu that is a true reflection of you. The chef will provide a meal that is sure to please you and your guests. Whether it's a beautifully prepared brunch or a formal seated dinner, you will have plenty of delicious creations to choose from. We pride ourselves on being one of the top Daytona Beach wedding venues because of our prime location, our magnificent indoor and outdoor spaces, our extensive menu and our all-inclusive wedding packages, which make planning simple. Our banquet staff is also happy to offer recommendations for local vendors who provide music and entertainment, floral arrangements, invitations, cakes, and photography. Celebrations are nothing short of spectacular when hosted at the Hilton Daytona Beach Resort. Our unique ability to cater any type of celebration is what makes us the perfect choice in Daytona Beach. We can turn any special occasion into an event you'll never forget. Are group discounts available for wedding guest’s hotel rooms? The bride and groom who host their wedding at the hotel receive a complimentary suite the night of their wedding and group blocks are available at a discounted rate for wedding guests. Do you have a bridal ready room? We provide a bridal ready room for the day of your ceremony with plenty of space for hair and makeup for your wedding party. We offer tiered all-inclusive wedding packages for decor, food and beverage, and ceremony space. 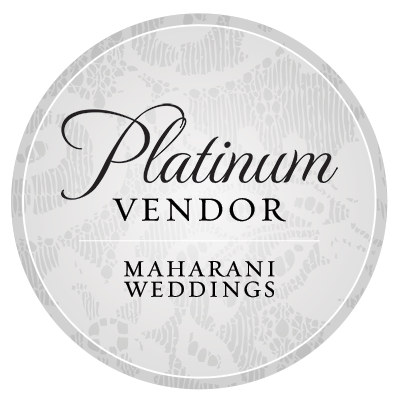 Depending on the upgrades and guest count, we have packages to fit every style of wedding. Do you host south Asian weddings? The Hilton Daytona catering services wedding department specializes in hosting the mehndi, puja or vidhi ceremonies, and the garba or sangeet at our extensive event space. What happens if it rains and my wedding is hosted outside? For all outdoor weddings, we reserve a weather backup space in the event of inclement weather. What are the advantages of having my wedding at the Hilton? Hilton weddings guarantee an elegant and customized ceremony and reception with the skill and expertise of a certified Hilton staff. Do you offer beach weddings? Beach wedding ceremonies must be contracted through the city but we do have a large space outside the hotel on the beach that is traffic-free and only a few steps from the reception space. The hotel is perfect for a destination wedding. We have an elopement package that includes ceremony and reception space, a day-of coordinator and discounts on the food and beverage minimums. Do you offer rehearsal dinner packages? We have three tiers of rehearsal dinner packages available based on plated dinner or buffet and beverage selections.